Today, I’m excited to announce a new product – the Casa Browser Extension. It’s the easiest way to interact with both a local node and external websites using crypto, and that makes it a great “extension” to the Casa product suite 🥁. Because Casa users expect the absolute best on usability, features, and security. And that was impossible to achieve without building our own extension. We first evaluated building a Casa browser extension in summer 2018 (as the Casa Node interface! ), but ultimately decided to focus on a web dashboard first. So we were thrilled to see Will O'Beirne's launch of the Joule extension in late 2018, and to see the enthusiastic community response. We immediately began testing Joule and reached out to Will to find a way to work together. Will's community-driven development approach and feature-set was somewhat different from our fast-paced and design-driven internal approach, so over the course of a few meetings we decided that the best path to build out all our feature ideas was to do BOTH, but separately. We are actively working with Will to integrate Joule now that our Casa Node is updated to work with extensions. We would also like to support other integrations. Please reach out if you have a product that you think could benefit from Casa Node integration. Lightning transactions, but even faster. The Casa Node has already given hundreds of users an easy way to run a Bitcoin and Lightning Node. It allows you to easily make and receive payments via the Lightning Network, manage Lightning channels, and support the Bitcoin & Lightning networks. Where the Casa Node falls short is in quick payments on websites that accept Lightning. You may want to read an article on Yalls.org, but to do so you need to flip over to your Casa Node browser window and paste in the payment code, then go back over to Y’alls. With the Casa Extension, these interactions become seamless. Click on the Casa Extension button and make your payment while staying on the Y’alls tab. It may not seem like a big deal when you read it, but you know it’s a big deal when you use it. Reading this cool article on Y'alls about the Casa Node being open source! Connecting to your Node, solved. Not only is this painful, it’s also insecure. It’s the equivalent of giving the key to your bank deposit box to someone else so they can access its contents for you. 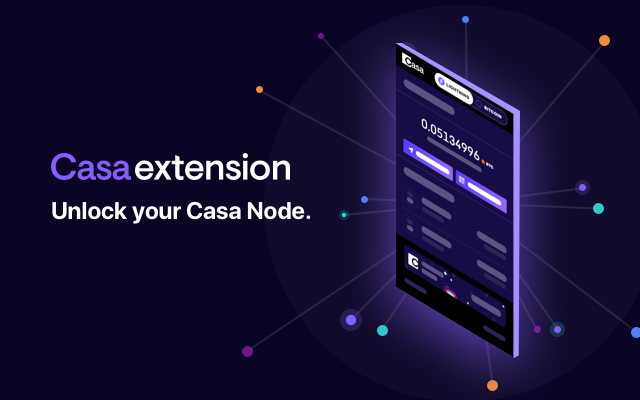 With Casa Extension, connecting to your Casa Node is secure and easy as one-click. 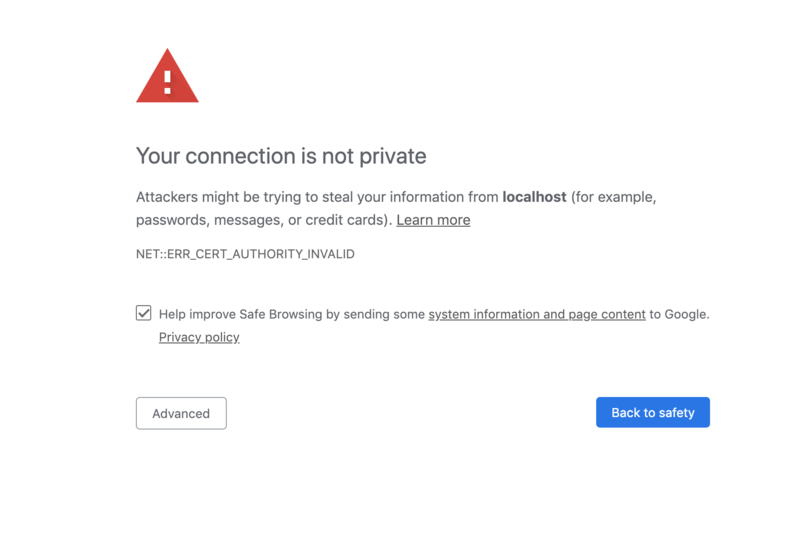 No sharing admin macaroons or TLS certs. Just use the same password you set on your Node to unlock it from the extension. Most Lightning apps require you to upload your admin macaroon in order to authenticate and control the node remotely. The admin macaroon is essentially the key to the kingdom, and while you are exporting and importing the macaroon, it’s vulnerable. Most users don’t understand that slinging this macaroon file around is a risk. They may save it on their desktop for easy access when authenticating, or they could import it into a third party app while they’re on an unsecured, public network. They’re also trusting the creator of the app (whether it’s a Lightning developer or Google and the Chrome browser) to not act maliciously with a macaroon file. With the Casa Extension, we authenticate using our custom API running on the Casa Node. The macaroon never leaves the node. Users don’t have to go digging around trying to find obscure files, and they don’t have to worry about making their macaroons vulnerable. We’ve set the bar high for ourselves on usability and security, and we’re proud of how we’ve accomplished our goals with the Casa Extension. Ready to use Casa Extension for your Casa Node? Download the Casa Extension, then check out our post about some great websites & apps that utilize Lightning payments. Just like our work on the Casa Node, we’ll be rapidly building more features for the Casa Extension. We’d love to hear your feedback and feature requests at help@team.casa. We have even more exciting, major announcements coming up in the next couple of weeks for Casa customers. Stay tuned to our Twitter and blog for updates! Want to start using the Lightning Network? Order a Casa Node and you too can #RideTheLightning with our new Casa Extension. Plus, it's now open source! The Casa Node is the easiest way to use Lightning and run a Bitcoin node, plus it gets you access to top-tier customer support, a friendly community, and more great surprises we have coming soon to all Casa Node owners in 2019.